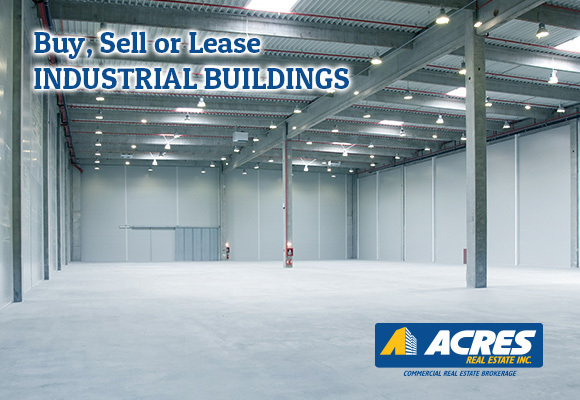 Industrial Real Estate – Acres Real Estate Inc.
Industrial real estate assets are critical to business performance. Acres’s Industrial real estate professionals with extensive real estate expertise and with an in-depth knowledge of the strategic business issues unique to the industrial real estate marketplace. Emerging technologies, production and workflow processes, distribution, access to supply and labour, warehousing and manufacturing operations are just a few of the factors affecting today’s complex industrial real estate decisions. At Acres we understand these challenges and the real estate solutions that can make your business faster, smarter and more profitable. For more information about our industrial real estate services please contact our industrial real estate expert at Acres.